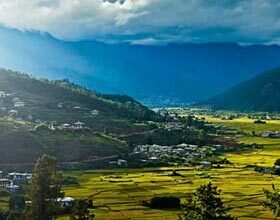 Paro, a gorgeous valley in Bhutan, is one of the most appealing vacationer locations of this mountainous nation. Paro Valley extends from the convergence of the Paro Chhu and also the Wang Chhu rivers at Chuzom up to Mt. Jomolhari at the Tibetan border to the North. This attractive area is one of the best valleys in the kingdom as well as is covered in fertile rice areas and also has a lovely, crystalline river meandering down the valley. If you are planning to travel from Kolkata to Paro, then air route is what you should choose. Here’s all the information you need to know. The nearest airport to Kolkata is Netaji Subhash Chandra Bose International Airport and also its IATA code is CCU. The nearest airport terminal here is Paro Airport with an IATA code, PBH. In Between Kolkata and Paro, 1 airline is operational. In a week, around 17 flights travel from Kolkata to Paro. The travel Duration between these cities in a non-stop flight is generally around 01h 10m. Food: Food favorites in Bhutanese Paro cuisine consist of lentils, fens, rice and also meat stews as well as soups, Zow Shungo, Ema Datshi (considered the national dish of Bhutan), Jasha Maru, Phaksha Paa, Thukpa, Bathup, momos, Juma, Shabalay, Khabzey, Shakam Eezay and fried rice. Popular beverages include beer, Ara (locally brewed rice wine), black tea, milk tea and butter tea. Climate: Paro weather condition is typically positive, therefore making it available and also satisfying round the year. Summer brings warmth as well as greenery while winter sees light layer of snow. Shopping: The Sunday Market, Vajrayana Art Gallery, Chencho Handicrafts, as well as Made in Bhutan are some of the best shops to buy local handicrafts and artefacts in Paro. Kolkata Airport - Netaji Subhash Chandra Bose International Airport is a worldwide airport situated in Kolkata, West Bengal, India, offering the Kolkata metropolitan area. It lies roughly 17 kilometres from the city centre. Enquiries Contact Number: 91 33 2511 8036. Paro Airport - Paro Airport is the single international airport terminal of the four airport in the Kingdom of Bhutan. It is 6 km from Paro in a deep valley on the bank of the river Paro Chhu. Address: Airport Terminal Roadway Paro, 12001, Bhutan. Hub for: Bhutan Airlines; Druk Air. KB 121: KB 212 operates from Kolkata to Paro on Sunday, Tuesday, and also Friday. Departure: 8:30 am from Kolkata. Arrival: 10:10 go to Paro. Duration: 1:10:00 (non-stop). KB 211: KB 211 operates Tuesday from Kolkata to Paro. Departure 9:10 am from Kolkata. Arrival: 10:50 am at Paro. Duration: 1:10:00 (non-stop). KB 501: KB 501 operates Monday, Wednesday, as well as Saturday. The Set up for the flight is as adheres to: Departure: 9:10 am from Kolkata. Arrival: 10:50 am at Paro. Duration: 1:10:00 (non-stop). BTN 701 operates Monday, Tuesday, Wednesday, Friday, and also Saturday. Departure: 8:15 am from Kolkata. Arrival: 9:55 go to Paro. Duration: 1:10:00 (non-stop). Departure from Paro: 7:45 am. Arrival at Kolkata: 8: 25 am. Non-stop duration of flight: 1:10:00. It operates on Tuesday. It operates on Thursday and Friday. Departure from Paro: 7:50 am. Arrival at Kolkata: 8:30: am. The non-stop time considered trip is 1:10:00. It operates on Monday, Thursday, and also Saturday. Departure from Paro: 11:00 am. Arrival at Kolkata: 12:10 pm. Trip Duration: 1:10:00 (non-stop). Running days: Monday, Tuesday, Wednesday, Friday, and Saturday. Departure from Paro: 8:15 am. Arrival at Kolkata: 9:55 am. Flight Duration: 1:10:00 (non-stop). Now, you can reserve trip tickets to Paro at the least expensive rate on Swan Tours. Swan Tours is the most relied on system to publication flight tickets, and we make ticket reservation much easier as well as a lot more economical for travelers, Swan Tours is also a (PSA) of Bhutan Airlines. Compare fares as well as publication the least expensive air tickets to Paro with all major residential and also global airlines. Q1. How can I get to Paro by flight? Ans. Paro is 6 kilometres away from the Paro International Airport terminal-- you will get to the city in well under half an hour in a car. 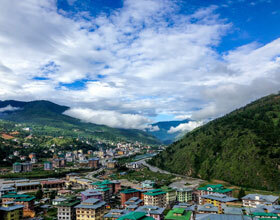 Direct flights to Paro are offered from Guwahati, Kolkata and also Delhi airport. The popular airlines plying this route are Bhutan Airlines as well as Drukair. Travel time on direct flights is about 3 hrs. Q2. Do I need passport for Bhutan? Ans. Indian nationals intending to visit Bhutan are required to carry any of the two valid 'Travel Documents' (a) Valid Indian Passports having validity of minimum 6 months; and/or (b) Voter Identity Card, issued by the Election Commission of India. No Visa is required to visit Bhutan. Q3. Is Bhutan a safe place to visit? Ans. OF COURSE, Bhutan Is safe. Also, the best part is Indians can tour within the country within any Tour Guide but for various other citizens they need to go via a registered tour guide and also prices around 250$ per day that includes every little thing. ... It wouldn't be a lie to say that it is the most safe country to take a trip to for a visitor. Q4. Can you use Indian rupees in Bhutan? Ans. Bhutan's unit of money is called Ngultrum (BTN). A Ngultrum has the very same value as the Indian rupee, which is additionally lawful in Bhutan. ... INR 100 & 50 Rupee denomination may be used in Bhutan, however Ngultrum cannot be utilized in India. Indian Rupee denomination note of INR 500, INR 1000 as well as INR 2000 is not accepted in Bhutan. Q5. What is the best time to visit Bhutan? Ans. 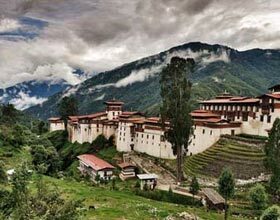 October to December is the ideal time to check out Bhutan as the air is clear and fresh with bright skies. January and February are colder, yet from after that up until April the environment continues to be dry and also pleasant and also in late springtime the renowned rhododendrons grow marvelously, swamping the valleys with colour. Q6. Can we go to Bhutan with Aadhar card? Ans. Indians can travel to Nepal and also Bhutan-- both countries for which they do not need visas - if they have a valid national passport or election ID card released by the Election Payment. ... "Aadhaar (UID) card is not an acceptable traveling document for travel to Nepal/Bhutan," a communiqué issued by the ministry stated. Q7. Do Indian SIM cards work in Bhutan? Indian SIM Cards (Airtel and Vodafone) do work in Bhutan. ... If you remain in Phuentsholing, make sure that you by hand choose the Indian Networks (signals aren't as strong as they will certainly remain in India, but still, your phone can capture them), otherwise you'll have to pay for international roaming. Q8. What is the check in luggage limit in Kolkata to Paro flights? Ans. Generally, 15 kg is the allowed baggage limit for an economy class passenger flying from Kolkata to Paro. Its advised to check your baggage limit that is printed on your ticket as it varies from airline to airline. Q9. What is the hand limit limitation in Kolkata to Paro flights? Ans. 7 to 10 kg is the enabled hand travel luggage restriction while flying from Kolkata to Paro. For newest updates on the hand travel luggage weight, get in touch with corresponding airline companies. Q10. Do airline companies provide extra space for sleeping? Ans. Much of business class airlines provide additional space for sleeping. Q11. Can I bring my own food? Ans.Yes you can bring your very own food. However, it needs to be properly packed. Q12. Will I be served alcohol on a Kolkata to Paro flight? Ans. No airline serves alcohol on a domestic flight. You will get alcohol in only international flights. Q13. When does the first flight leave from Kolkata? Ans. The first flight from Kolkata to Paro goes to 6:30 AM, which is Druk Air airline 121 followed by Bellview Airlines 701 which leaves at 8:15 AM. Q14. What is the airport code of Kolkata and also Paro? Ans. Airport code of Kolkata is CCU and also Paro is PBH. Q15. How far is the city centre located from the airport? Ans. Paro's Airport terminal lies at a distance of 6 kilometres from the city centre.